We are the best SEO Company in Noida offering a wide range of Digital Marketing solutions to make a brand or website more popular in the online world. Search Engine Marketing is an integral part of web promotion strategies; the process of SEM can be divided into two parts, one is called Search Engine Optimization (SEO) and the other one is Pay Per Click (PPC). SEO is simply the process to drive more visitors to a website by obtaining higher rankings in the Search Engines like Google, Yahoo and Bing. In the PPC marketing model, an advertiser is charged for each and every click. Our SEO and web marketing experts have helped many small and medium sized businesses achieve their business objectives and goals. Our quality Search Engine Optimization services not only drive targeted traffic but also help a company in Online Branding efforts. 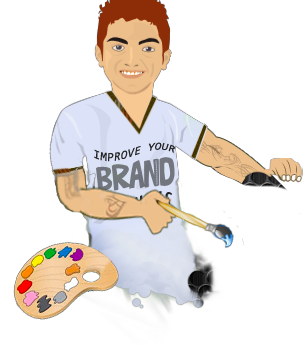 Our design, development and marketing offices are located in Delhi and Noida. Don't go for cheap SEO services as they build low quality spam links pointing to your website and this is against Google Webmaster Guidelines, and Google might penalize your website for having bad links. Every now and then Google updates their ranking algorithm and punish websites using black hat SEO techniques to achieve higher search engine rankings. Our team of online marketing experts are well aware of all the Google updates (major one's are Panda, Penguin, EMD and Hummingbird), and hence they are capable to offer high quality SEO Services in Noida. We build SEO strategies strictly according to these updates to provide long term results to our clients.